LABELLING Education Minister Anthony Garcia a “hypocrite”, TT Unified Teachers’ Association (TTUTA) president Lynsley Doodhai said yesterday, Garcia led teachers in worse strike action than tomorrow’s day of rest and reflection, while he headed TTUTA for 13 years. At a laptop-distribution ceremony at the Ste Madeleine Secondary School, Doodhai told reporters Garcia was the TTUTA president responsible for introducing the “2-1-2” strikes. “I want to state categorically that Garcia is being hypocritical. He introduced something called the 2-1-2, and that meant teachers would stay away from school on Monday and Tuesday, they would come to school on Wednesday, and they would stay away on Thursday and Friday. Dismissing Garcia’s labelling of the day of rest and reflection as a “sympathy strike,” Doodhai said TTUTA had decided to rest and reflect since June. “With respect to the term ‘sympathy strike’, I don’t know where that arose from. 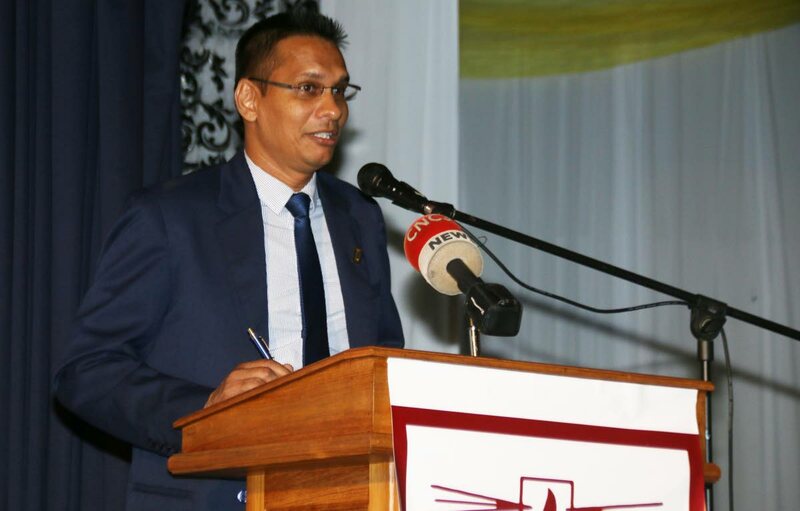 While TTUTA expressed solidarity with workers at Petrotrin, when this decisions of the general council was taken in June of this year – well before the issue of Petrotrin came up; it was enunciated at Labour Day in Fyzabad that teachers would be resting and reflecting for a number of issues affecting the education system and teachers generally. Asked if today’s meeting of various trade unions with the Prime Minister will put a dent in TTUTA’s plan to rest and reflect, Doodhai said, “Certainly not. When that meeting is held with the prime minister at 3pm, the issues that I identified confronting our teachers and the education system will continue to exist. He said Garcia’s comments on Tuesday that teachers were not likely to be paid and would likely face legal action for participating in the day of rest and reflection had increased support for the strike. Reply to "TTUTA pres: He is a hypocrite"